If you find yourself heavily influenced by your environment, a move—or at least, a vacation—to Scandinavia should be on your horizon. The United Nations just released its World Happiness Report for 2019, and Finland was dubbed the happiest country worldwide. This is the second year in a row the Nordic country has taken home the highest rank, which has us wondering: What do they know that we don’t? Pitting 156 countries against each other, the report considers variables like wealth, social support, life expectancy, freedom, and generosity of its people. Finland pulled ahead in each category, with fellow Nordic countries Denmark, Norway, and Iceland close behind. While several of the factors are determined externally, it’s worth looking at the Scandinavian lifestyle to see what we can learn about their habits and co-opt on this side of the ocean. First of all, the sister concepts of Hygge (from Denmark) and Lagom (from Sweden) promote balance and a simpler lifestyle. This philosophy of slowing down is further cemented in the practice of Fika—a daily coffee break ritual that encourages participants to hit pause every now and then. Finnish sauna culture and Norwegian getaway cabins called “hytte” encourage pampering and help residents get through colder months together. Of course, it doesn’t hurt that Finland is an up-and-coming travel destination in its own right, either. Helsinki, in particular, is a hub for creativity, with new restaurants and concept shops opening up left and right. If you’re looking for a dopamine boost, consider booking a trip to the Finnish capital. Be sure to put these must-see design spots on your itinerary. Speaking of Finnish saunas, the chicest—not to mention, the most famous—one is Löyly. 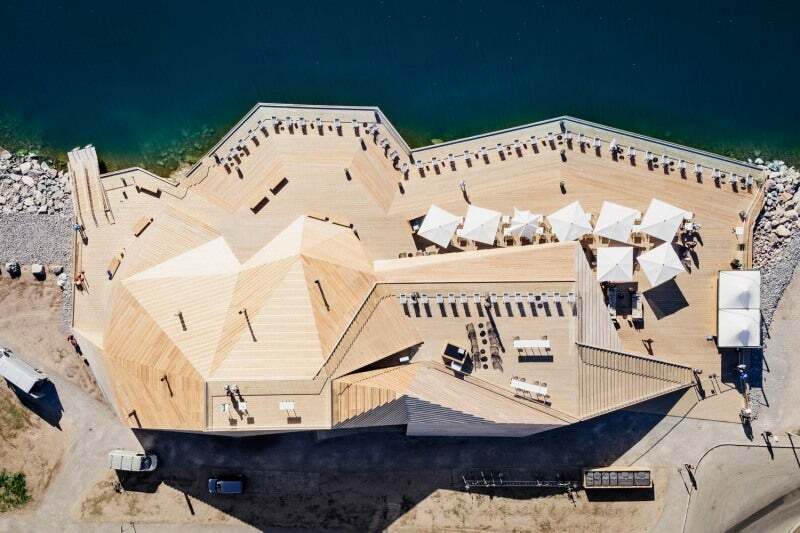 Perched on the edge of the Baltic Sea, this hot spot (literally) features stunning geometric architecture. After you’re done with your pampering session, hit up the in-house restaurant for a quick bite to eat. If you’re obsessed with Scandinavian design, you’re going to love Helsinki. Start with the Design District, the city’s creative hub. You’ll find everything from antiques to fashion—but don’t miss some of the best contemporary Finnish brands. Head to Aarikka for eco-friendly decor and jewelry, Iittala for the technicolor glassware of your dreams, and Artek for chic furniture. Finish off your trip to the neighborhood with a pit stop at Lokal, a concept shop where you’ll find delicious coffee, an art exhibit, and beautiful ceramic wares. Old Market Hall is one of Helsinki’s best food markets, where you’ll find tons of vendors offering tastes of local cuisine. If you want more of a sit-down situation, stop at Story, a cafe situated in the middle of the market serving everything from fresh pastries to Finnish specialties like salmon and potato soup. Is This Small Italian Town the Next Positano?